UPDATE - Now includes full details of all of Week 8's PAX action. Our Fortnite Summer Skirmish page contains details of the confirmed players, and will be updated with schedule, stream and results information as soon as they become available. At the start of last week, Epic Games announced a major new step for Fortnite's competitive scene with the reveal of the Fortnite Summer Skirmish. The event will be spread across eight weeks, with a total of $8,000,000 being put up for grabs for the winners throughout the tournament series. In this article, we wanted to bring together all of the information that's currently known about the event in one place. #SummerSkirmish begins tomorrow starting at 4 PM EST. Catch all the action on our official Fortnite channels on both Twitch and YouTube! You can also follow the tournament over at the official Fortnite YouTube channel. For a list of all the competitors for Week 8's action, make sure you check out the official Summer Skirmish page. What were the results from Week 8 of the Summer Skirmish? Here's a list of the top players from all of Grand Final matches. All players were awarded $25,000! Each game, Duos will be ranked based on the points earned in a single game. Victory Royales and Eliminations earn players points that will be scored at the end of each match. The duo with the most points at the end of the series wins. For a list of all the competitors for Week 7's action, make sure you check out the official Summer Skirmish page. What were the results from Week 7 of the Summer Skirmish? Here are the standings from Week 7's two groups which we've separated by all days of play. Teams will be ranked at the end of each match based on the points that have been earned. The team that gets a Victory Royale will earn triple elimination points in the next match. A team that achieves seven or more eliminations in a match gain double elimination points in the next round. For a list of all the competitors for Week 6's action, make sure you check out the official Summer Skirmish page. What were the results from Week 6 of the Summer Skirmish? Here are the standings from Week 6, along with the total sums of prize money that was won once things came to a close. The team with the most points at the end of eight matches wins. 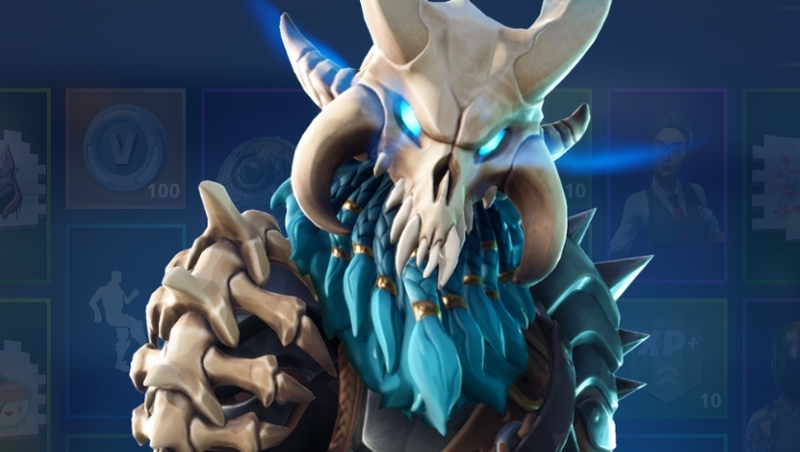 Eliminations earn players points towards placement at the end of the event. Earning a Victory Royale will provide a team with a 3x Eliminations bonus in the next match. What were the results from Week 5 of the Summer Skirmish? Here are the standings from Week 5, along with the prize money that was won in each case. The first players to reach 8 or more points by the end of the competition wins. Victory Royales and Eliminations in this competition will be scored to determine placement at the end of the vent. The player with the most eliminations in a single match will "Hold the throne" and hold a bonus point until dethroned. For the complete list of competitors for Week 4's action, make sure you check out the official Summer Skirmish page. What were the results from Week 4 of the Summer Skirmish? For the third week's action Epic is rolling things back to the Duos format. The first Duos team to reach 13 points will be declared the winner, with Victory Royales and Eliminations being scored to determine who comes out on top. It's a race to see who can bag the most points first. If you're after the complete list of competitors for Week 3's action, head on over to the official Summer Skirmish page. What were the results from Week 3 of the Summer Skirmish? The second event in Epic's Fortnite Summer Skirmish mixes things up a little. It involves 10 matches of Solos, with scoring based on placements and eliminations. This means players will be fending for themselves and be willing to get stuck into fights if they want to score points and rank highly! The prize pool for this week is $500,000 and it begins at 5 PM EST Friday July 20th. You can find a complete list of competitors and watch it live by visiting the official Fortnite Summer Skirmish site. What were the results from Week 2 of the Summer Skirmish? The first event in the Fortnite Summer Skirmish was a Duos competition. That means two players teaming up to try and emerge top-dog as a team. The prize pool for the weekend just gone was set at $250,000. In its initial announcement, Epic Games stated that competitors would be represented by community creators, as well as those players who have have already established their competitive chops in previous events. You can find a complete list of competitors in this opening weekend by visiting the official Fortnite Summer Skirmish site and scrolling down. What were the results from Week 1 of the Summer Skirmish? That marks the end of our guide to the second week of the Fortnite Summer Skirmish 2018. As soon as Epic provides more detail on the next stage of the tournament, we'll update this article. Let us know in the comments if you've found any information that's not currently included and we'll add it in with credit. We've just included the format for Week 3's action at the top of the page, and we'll be popping in the results once the action's concluded! Just added in the results from this weekend's action. When we have the details of Week 2 we'll add them into this article. Just added in a little bit more information that's been confirmed overnight. Start times for US, UK and EU timezones have been added, along with an embed of the official Twitch stream. Still no word on match times though, but if the information's released I'll add it straight in. Enjoy! Hi folks, we are still waiting to get a schedule and core stream from Epic and these will be added to the article as soon as they're announced. If you come across any of these details, please drop a link in here. I'll try to update over the weekend.